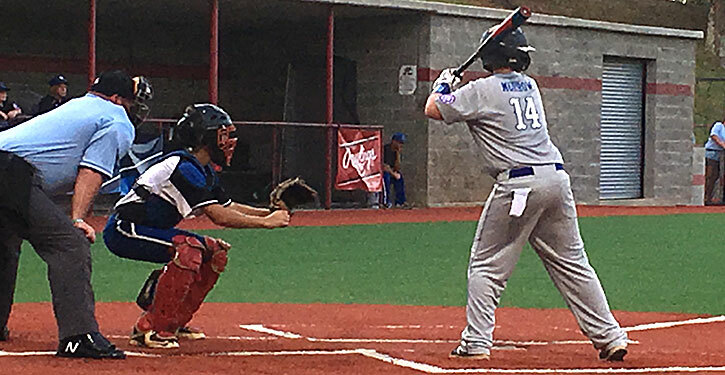 ARKADELPHIA — It was do or die for the Bryant 14-year-old All-Stars on Saturday and it turned out that it was Bryant that was handing out all the misery at the 2018 Babe Ruth 14-and-under Southwest Regional Tournament at Henderson State University on Saturday. 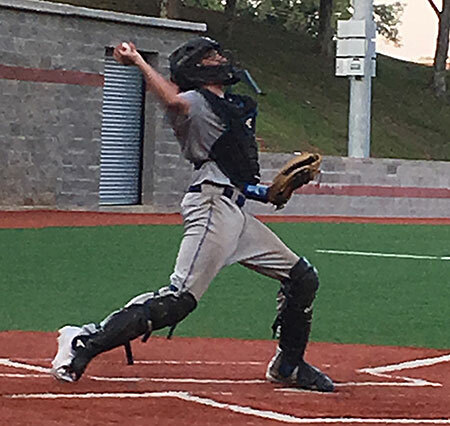 Bryant ousted Fort Smith, 11-7, and Mountain Home, 8-1, to advance to the losers bracket finals on Sunday morning against Arkadelphia, with the winner advancing to the championship round against Phenix City, Ala. In the heat of the afternoon, Bryant outslugged Fort Smith, using nine hits to take advantage of nine walks and two hit batsmen. They won despite surrendering six walks and committing eight errors. Morrow and Hatman each had two hits. Martin drove in three and Morrow knocked in two. Dunn and J.T. Parker combined to hold Fort Smith without a hit over the final five innings. One unearned run scored. Fort Smith took a 1-0 lead in the top of the first on a hit batsman and a pair of errors. In the bottom of the inning, Bryant claimed the lead by scoring five times. Burton started the outburst with a triple to right. With one out, J.T. Parker drew a walk. He stole second. Martin singled to drive in two, taking second on the late throw to the plate. Greiner sacrificed Martin to third then Morrow singled to make it 3-1. Hatman’s hit and a walk to Cade Parker loaded the bases. Morrow scored on a passed ball and, after Myles drew a free pass, another passed ball allowed Hatman to score, making it 5-1. But Fort Smith pushed across four runs to tie it in the top of the second. Three singles, a walk, a double and a sacrifice fly produced the uprising. It stayed 5-5 despite walks to Holt and Martin in the bottom of the second. A single started the top of the third. Hatman gave way on the bump to Dunn, who issued a walk but retired the next two batters. He appeared to be out of the inning but an error cost a run as Fort Smith took a 6-5 lead. Another run scored for Fort Smith in the top of the fourth on a walk, a stolen base and a wild throw. Dunn retired the last three he faced. In the bottom of the fourth, Bryant surged into the lead. It came after the home plate umpire had to be relieved of duty after succumbing to the heat. With one out, Dunn singled and Burton walked. Holt was struck by a 3-2 pitch to load the bases. After a pitching change, Martin was drilled by a 1-2 delivery with two down, forcing in a run. Greiner then came through with an RBI single to tie the game 7-7. That set the stage for Morrow’s two-run double that gave Bryant the lead for good. J.T. Parker pitched around an error and a pair of walks in the top of the fifth. With one out, a pop to Holt at second resulted in a doubleplay when the base-runner at third tried to tag and score only to have Holt throw him out. It went to the bottom of the sixth with Bryant clinging to the 9-7 lead. Walks to Burton and Holt provided an opportunity to pad the advantage. J.T. Parker sacrificed the runners to second and third and, after Martin walked, Morrow hit a grounder to short that got through allowing Burton and Holt to score. J.T. Parker pitched around a two-out error in the top of the seventh to close out the win. 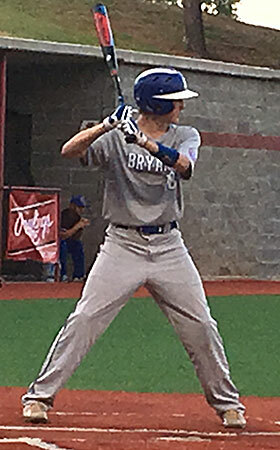 Bryant had knocked Mountain Home’s Blue Storm into the losers bracket on the first day of the tournament. Mountain Home battled back to get a rematch but fared little better as J.T. Parker, Hatman, Dunn and Myles combined to hold them to a run on six singles. 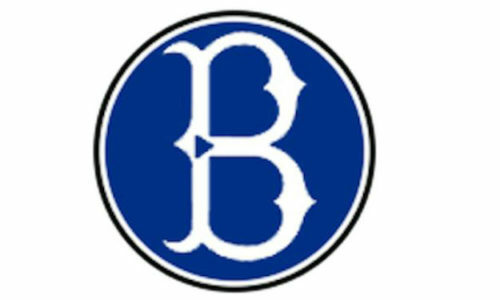 Bryant cut down on its miscues, committing just one error while the Storm had five errors. Martin and Dunn each had two hits. Bryant built an 8-0 lead before Mountain Home scored its run in the bottom of the fourth. After a scoreless first, Bryant got on the board in the top of the second. Greiner singled, Morrow reached on an error and, with one out, Cade Parker delivered the run with a sacrifice fly. Mountain Home threatened in the bottom of the second, A single and a sacrifice were followed by a walk. Another knock loaded the bases. Hatman relieved and struck out the first batter he faced then ended the threat by inducing a fly to Greiner in left. Bryant added to the lead in the top of the third. Dunn led off with a single then Holt beat out an infield knock. J.T. Parker’s single to left loaded the bases for Martin, who came through with a lined single to left that made it 2-0. Burton bounced into a force at second but picked up an RBI as Holt scored. When the throw to first — too late for a doubleplay — got away, Parker scored as well as the lead grew to 4-0. Hatman worked around a one-out error in the bottom of the third then Bryant put the finishing touches on its scoring in the top of the fourth. Hatman greeted a new pitcher with an infield hit. Cade Parker and Myles drew walks to fill the sacks. With one out, a passed ball allowed Hatman to score. Cade Parker came in on Holt’s grounder to third. Martin then capped off the scoring with an RBI triple. There were two away in the bottom of the fourth when Mountain Home rallied for its run. A pair of singles around a walk loaded the bases and a second walk force in the run before a pop to third ended the inning. The Blue Storm threatened again in the bottom of the fifth. After two were out, a pair of batters were hit by pitches then a walk loaded the bases. But a fly to J.T. Parker in center ended the threat. Despite lead-off singles by Myles and Dunn, Bryant was unable to tack on in the top of the sixth. Again, Mountain Home made a bid in the bottom of the inning but wound up being turned aside. A hit batsman and a single had the first two batters of the inning aboard. Myles, however, retired the next two on a pair of pops. A walk loaded the bases, but a strikeout ended the inning. In the seventh, the Blue Storm was set down in order by Myles to finish it.